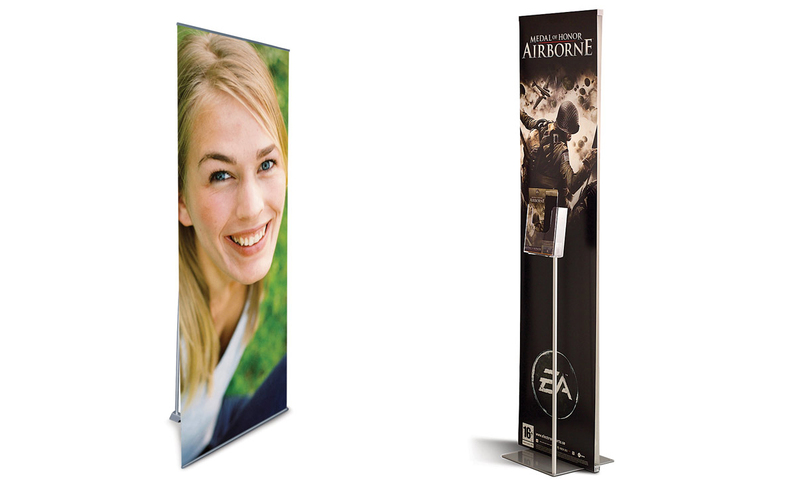 The clean lines of the Express stand will help maximize your image or message. Simple to use, the graphic panel and hardware easily pack away into a handy carry bag. The unique rear foot is weighted for stand stability. Available in one size, single sided only. Optional accessories are fixed to base plate. Simply place the screw into base from the bottom side. Fasten pole from the top until tight. Once pole/poles are in position, attach brochure or glasses stand by screwing into poles through holes provided.